The Next Big Thing - you never know for sure until it happen. "Electric Mobility Revolution is happening, it is Lithium, it is safe and it is coming fast. We have met with designers and engineers, we have grilled Lithium batteries' developers and driven Tesla - Energy and Drive are Electric and Eco is the main theme at Frankfurt Motor Show this year." Forget peak oil, could the next burning issue be peak lithium? If the hype surrounding electric vehicles (EVs) turns into reality then huge quantities of this element are going to be needed. And, as they race to secure future supplies, a battle looks set to commence between the automotive and consumer electronics industries. General Motors has the Volt, Nissan the Leaf. In fact, nowadays it's hard to find a carmaker that doesn't plan to launch a battery-powered EV or plug-in hybrid in the next five years. Although the predicted take-up of these cars varies, from the modest one million sales per year in 2020 from market forecasters IHS Global Insight to Nissan's ambitious forecast of ten times that, it is clear that demand will increase considerably from the 5,000 sold in 2008. Meanwhile, global sales of conventional hybrid cars are expected to surpass the one million mark in 2010, double what was sold in 2008, and will continue to grow in popularity thereafter. Just as lithium batteries now dominate most portable consumer electronic items such as laptops and mobile phones, lithium ion batteries look set to take over from the nickel metal hydride chemistries that are currently used in most hybrid and EV applications. This is for several reasons, not least the fact that lithium is not toxic, it has a high specific energy content and it is currently cheap and readily available. But concerns have already arisen about the sustainability and availability of lithium. One of the most detailed studies to date in this area has been carried out by French consultancy Meridian International Research, in a series of reports entitled The Trouble with Lithium. One of the key findings was that if demand from the portable electronics sector continues to grow at 25% per annum, as it has done in recent years, by 2015 there will only be 30,000 tonnes of high-purity lithium left for the automotive industry. This, it says, would be sufficient for less than 1.5 million GM Volts or similar EVs worldwide. "Realistically achievable lithium carbonate production will be sufficient for only a small fraction of future plug-in hybrid and EV global market requirements. Therefore other battery technologies that use unconstrained resources should be developed for the mass automotive market," the report warns. This sobering outlook is based on Meridian's estimates that global recoverable lithium reserves total only around four million tonnes. Although the US Geological Survey (USGS) estimates a reserve base of 11 million tonnes, Meridian claims that the majority of these either have unfeasibly high production costs or abysmal production rates. Around 70% of the world's lithium deposits are located in the so-called Lithium Triangle, an area of salt flats on the borders of Chile, Bolivia and Argentina measuring less than 43,000km2 in surface area. Presently, over half of the world's lithium needs are mined from the Chilean salt lakes in that region, with a small quantity also coming from Argentina. The single largest lithium deposit in the world though lies in Bolivia's Salar de Uyuni salt flat, the largest in the world and an area that to date remains untouched. Described as the world's largest natural mirror, Salar de Uyuni is the brightest object on the Earth's surface visible from space, and is often classified as one of the seven Natural Wonders of the World. Bolivia's socialist president Evo Morales has so far blocked foreign companies from gaining access to its reserves, and instead is trying to nationalise all mining activities in the country. Either way, the ecological damage caused by large-scale mining of this unique ecosystem, which is a flamingo breeding ground, would be significant. "Mass production of lithium carbonate is not environmentally sound. Lithium ion propulsion is incompatible with the notion of the ‘Green Car'," Meridian declares. The world's other lithium sources are no less controversial, with a sizeable proportion currently derived from salt lakes in and around Tibet, which is all mined by the Chinese. Meridian estimates China to have the potential to considerably increase its lithium production capacity in the future although it notes that this will almost certainly be reserved for its own EV industry. Although North America has some relatively small lithium mining activities of its own, mainly in Nevada, the reality is that the US and the rest of the world will become increasingly reliant on South American lithium production, which could have immense geopolitical implications, not least considering the already strained relations between Latin America and the USA. While carmakers have so far said little about the sustainability or political aspects of lithium, they do not appear worried about availability. "We will never run out of lithium. It's not like you have with precious metals, which are finite," says General Motors' man in charge of EVs, Frank Weber, pointing to the potential that exists to extract lithium from sea water, which has in the past been considered a virtually inexhaustible source of the metal. Critics – Meridian included – claim that this method of extraction would not only be prohibitively expensive and even more ecologically unsound than to mine the metal from precious ecosystems but that it would have to be carried out on a pharaonic scale before meaningful quantities of lithium were realised. Nissan is equally blasé, sticking with the USGS's lithium supply estimates and apparently ignoring the implications for lithium demand that the billions of potential iPhone customers in China and India could one day have. "We estimate the global lithium resource to be around 11–14 million tonnes," the company says. "If, as we expect, the world EV market will be around 10 million units by 2020 there will be sufficient lithium stocks for approximately 350 years." Tom de Vleesschauwer, associate director of consulting at IHS Global Insight confirms that none of the other major original equipment manufacturers appear to consider lithium supply – or lack off – as a cause for concern right now either: "Of course we have heard horror stories of limited supply and reliance on a few countries, but in reality the usage for plug-in hybrids and EVs will not be a huge drain on the lithium reserves out there." De Vleesschauwer points out that not only are the automotive and battery industries working on initiatives to recycle lithium from disused EV batteries and to create secondary markets for them, but it is still possible that other strong battery chemistries will emerge to sit alongside or even rival lithium ion. It remains to be seen to what extent lithium will be in short supply in the future, but it would be surprising if some kind of battle did not ensue between the automotive and consumer electronic industries as each looks to secure its future needs. While an EV battery could require 3,000 times as much lithium as a mobile phone battery, there will be hundreds of millions more phones sold globally than EVs. The price of lithium is already on the rise – as of mid-2009, it was around $6,600 (€4,600) a tonne, compared to $2,500 at the start of the decade. Meanwhile, it is starting to look increasingly like the EV may not be the panacea that the car companies have so desperately been searching for either. Despite all its bullishness over the supply of lithium and the promise we have been told that EVs and plug-in hybrids will bring, the automotive industry must surely be starting to ask itself now whether an environmentally-friendly car or fuel really does exist. A white/silver alkali metal, lithium is the lightest metal on earth. Although it occurs in many rocks and brine deposits, such sources are often of little commercial value because the lithium is in low concentrations or is of low grade. For this reason, lithium could be considered a comparatively rare element. To be suitable for use in car battery applications, lithium must be turned into high-purity (99.95%) Battery Grade Lithium Carbonate — an even rarer compound. Whatever the state of global lithium reserves, it's a fair bet that the US, China and Japan will compete to secure supplies over the next decade. To compete with GM's Volt, Honda's Prius and Nissan's Leaf, Chinese battery and automobile manufacturer BYD is making a splash with its first plug-in hybrid and plans to release two all-electric models later this year. Founded in 1995 in Shenzhen by chemist Wang Chuanfu as a rechargeable battery manufacturer, BYD targeted Sony and Sanyo as its competitors. By using inexpensive manual labour rather then pricy mechanised production, BYD reduced battery prices and, within five years, became one of the largest battery makers in the world. In 2003, Wang acquired Tsinchuan Automobile Company, and began developing the technology for EVs. By July 2009, BYD Auto was the top independent automotive brand in China, according to the Chinese Association of Automobile Manufacturers, with 33,860 units sold, 22,183 of which were its F3 sedan, making it the month's best-selling sedan in China. But BYD sees a future in EVs and is confident that both its all-electric and dual-mode (plug-in electric with a back-up gasoline engine) will be able to compete with the models of better-known international companies. Listed on the Hong Kong Stock Exchange at a market value of €2.65bn, and with net profits for 2008 around $187m (€130m), BYD Company Ltd is on the up. Globally, its corporate profile was further bolstered when Warren Buffet bought 10% of the company in 2008. 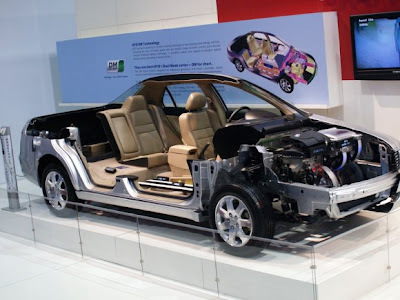 And BYD's transformation from cell phone battery maker to car maker to electric car maker in under 15 years shows an adaptability and innovative approach that suggests that, even in the event of a lithium shortage, BYD will find creative ways to deal with it." "I am a big believer in the company where management owns a big part of the company: if I am making money - you are making money, I am making money only from capital gains." Robert McEwen. "One thing is to find and develop a Copper deposit with NPV over 1 billion with Copper over 2.1 USD/lb and another one is to find a good lawyer, who made his name going against big corporations, and defend your rights in court. If Junior TNR Gold TNR.v one year ago decided to bully a multi billion market cap Major without any merit and hired one of the top lawyers: it will be a story for a good book - otherwise it is a story for a good legal case." With all our recent Lithium Drive into Electric space we should not forget about core values and how we are going to charge our High Voltage babies - Next Industrial Revolution means a lot of Copper from electric motors to smart power grids. Xstrata's back in deadline is coming on 1st of October 2009. We have an estimation that they will back up - value proposition is too apparent. It will be a good thing in a sense of confirmation of Los Azules potential, but it could be a drag on project development with Xstrata's lack of focus and boardroom games. Small junior TNR Gold TNR.v, we are following, could hold some keys to project development and Robert McEwen's future role in its development. Now we have some estimations on Los Azules value put forward by Robert McEwen in his presentation at Denver Gold Forum 2009. 1. Argentina - it is Nevada, but 100 years earlier. 2. Los Azules - one of the largest undeveloped Copper deposits in the world with 922 mln t of 0.55% Copper plus Gold and Silver. 3. 18% of the world copper resources concentrated in this area between Argentina and Chile - total 605 bln lb Copper. 4. Los Azules is bigger than 83% of the world copper deposits with good exploration potential. 5. Scoping study indicated high grade starter pit and NPV of 496 mln USD with Copper price at 1.9 USD/lb and 8% discount rate, NPV rises to 4 bln USD with Copper price at 3.0 USD/lb and 8 discount rate. 6. Copper target extension is 3 km in NW direction (towards Escorpio IV property of TNR Gold S.). 7. How much Los Azules worth? Based on market valuation of Apoquinto, Corriente, Exeter and Norsemont with average valuation parameter of 0.037 USD per Copper lb resource Minera Andes 49% in Los Azules which is 5.5 bln lb of copper resource has "Implied valuation" of 203 mln USD. This valuation will put Implied valuation of TNR Gold's back in right 12.5% (25% in half of the deposit) at 51.8 mln USD. Rob McEwen has invested 60 mln in the company and owns 33%: "I am a big believer in the company where management owns a big part of the company: if I am making money - you are making money, I am making money only from capital gains." We can see now that non executive chairman of TNR Gold Kirill Klip is not very original, but follows a good example - according to latest filing he owns 25% of TNR Gold, all management team and insiders are holding more than 50% of the company. After Xstrata's move TNR Gold with its 12.5% in Los Azules (subject to litigation outcome) could hold keys to Majority in Los Azules. Robert McEwen apparently is not very happy with his partners in San Jose mine to put it mildly, he is a driver and do not like to sit at the backseat. Maybe there will be room for a partnership between Minera Andes and TNR Gold with Xstrata holding non operational control in the end. Los Azules development is the matter of focus: for Xstrata it could be "another project" - with copper price above USD 3.0 per lb incentive could be more then enough for Rob McEwen to put another title next to Mr Gold Corp - Mr Andean Copper. We will remind that nothing here should be taken as an investment advise - all valuations are only an invitation for further investigation and subject to data provided by third parties. When über mining investor Rob McEwen makes predictions on gold prices or appears to have developed an interest in silver mines, retail investors heed his clarion call and place their bets that the gold price is about to soar. In a presentation to the Denver Gold Group on U.S. Gold Monday, McEwen was somewhat subdued as he only briefly mentioned he thought gold could hit $5,000 an ounce before the end of the gold cycle As this reporter scrambled for a clarification of his remarks in a brief interview, McEwen stuck by his prognostication, forecasting the end of the gold cycle would occur either in 2014 or 2015. McEwen is so dedicated to the power of gold, he told his audience of fund managers, analysts, investment bankers and miners that he personally owns 21% of U.S. Gold. In comparison most major mining CEOs own a mere pittance. He is steadfast in his belief that the Cortez Trend-which hosts Barrick's massive Cortez Hills gold project-will yield millions of gold ounces for his U.S. Gold company. But, McEwen also has developed a fondness for silver, albeit he lacks the same passion for the precious metal as he feels for gold. He declared to his audience Monday that "El Gallo, Mexico is becoming one of the world's great silver discoveries. " With a 540,000-acre position in what he called "highly mineralized lands," McEwen's U.S. Gold is spending $10 million in exploration over 12 months. He anticipates an initial resource and heap leach test during the first quarter of 2010. He also believes that Minera Andes' Los Azules project is "one of the largest undeveloped copper discoveries in the world. And in keeping with his philosophy as Minera's Chairman and CEO, McEwen owns 33% of the company's shares. As the years roll by, McEwen's legendary penchant for marketing to the max remains intact as he offered audience members trillion dollar notes as an impromptu raffle prize at the conclusion of his talk." GS Yuasa President Makota Yoda said they plan to boost annual lithium-ion battery production more than 30 fold by 2016. Targeting a sales total of $1.1 billion by 2016, the Japanese company is talking with additional overseas EV makers to line up more sales. The report coming from Reuters also suggests that the GS Yuasa joint venture with Mitsubishi Motors may result in additional sales for the company as early as next year. GS Yuasa is currently the world's third largest lithium-ion battery producer and hopes to increase sales by counting on strong growth in the hybrid and full electric vehicle segments. They believe that government subsidies and a growing concern for the environment will lead additional automakers to produce EVs and hybrids in need of lithium-ion batteries. The Japanese based company is in talks with undisclosed automakers from the United States, Europe, and additional local automakers in Japan. The company has already lined up Mitsubishi and Honda for battery sales. The venture with Mitsubishi, called Lithium Energy Japan, is partially owned by GS Yuasa, Mitsubishi Corp, and Mitsubishi Motors. The joint venture with Honda will result in GS Yuasa making li-ion batteries for Honda hybrids starting next year. 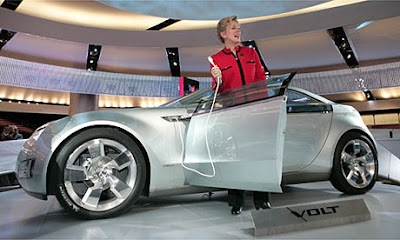 By 2012, GS Yuasa hopes to begin selling batteries to additional automakers. In anticipation of growth, the company is building an additional manufacturing facility with the capability of producing 15,000 units per year. With a growing market for lithium-ion batteries, one begins to wonder if there is enough supply. For information about lithium reserves and the possibility of a shortfall in lithium, please read our article titled "No Looming Lithium Shortage For EVs." We spent some time travelling: today we can say that Electric Mobility Revolution is happening, it is Lithium, it is safe and it is coming fast. We have met with designers and engineers, we have grilled Lithium batteries' developers and driven Tesla - Energy and Drive are Electric and Eco is the main theme at Frankfurt Motor Show this year. "In ten years time 15-20% of cars sold in Europe will be electric". Everybody else is on the rush to be up to speed of development in Green Mobility Race with Mercedes, BMW and Audi shows built around centerpiece: Full Electric models and Hybrid cars. We have put it before as "Investing in Lithium and REE: Hype, Dreams and Economics" - now we can add that Hype for Electric is at its very beginning, Dreams are at the show and the most important left is economics: regarding cars - you can drive 100km for 2 euro in Germany and even less in Austria; and Renault is claiming the price for the car in normal range with battery leased to the customer; regarding Lithium and REE plays - time is to see who has the goods, strong management and access to the capital. Question whether Electric cars will be on the road with Lithium ion batteries and whether they will have utility and safety matching "normal car" is not there for us any more. This is what we call full utility EV. 2011 production target, 24 kWh Lithium ion battery made by NEC. Range on a full charge 160 km. Price promised to be in line with comparable car and battery will be leased. Rechargeable Standard Charge at 220-240v, Quick Charge 400v and Quick Drop - Battery exchange. Here is interesting thing: better place was next to Renault exposition, but nowhere on the Renault stand you can see better place TM and their Battery Switch Stations in Renault videos or exposition materials. No mention at all. They mention only cooperation with better place on the website in Energy Management. All technology was presented, including the demonstration of automatic battery drop system. According to engineers there is no safety problems with Lithium batteries. 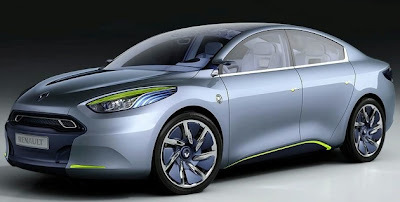 Renault makes bold prediction about future of electric cars, leapfrog any Hybrid state directly into Full plug-in EV world and we will monitor their development affecting our Lithium Demand model. Fluence Z.E. Concept is a statement of Renault's intention to produce a range of zero-emission vehicles that meet the needs of all types of customer. Fluence Z.E. Concept is a genuine family car which demonstrates that attractive styling, comfort and space can go hand in hand with respect for the environment. 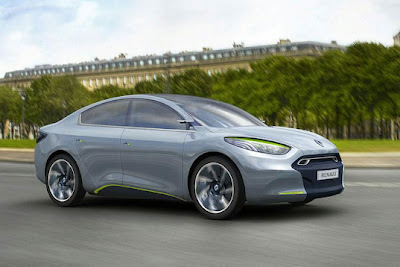 The styling cues of Fluence Z.E. Concept combine the design language of motoring pleasure with the visual signature of Renault's range of electric vehicles. Fluence Z.E. Concept possesses dynamic lines, highlighted by a fluid character line which sweeps from the headlights to the rear shoulders. It is 4,820mm long, has a wide track of 1,672 mm, is well-proportioned and exudes status-enhancing, elegant looks. Fluence Z.E. Concept's warmly welcoming and refined interior is based on a combination of flowing forms, the use of soft, supple materials and a mottled ambience. Passengers are comfortably seated in four enveloping seats robed in light leather upholstery. The feet rest on a light blue translucent gel mat, while the brake and accelerator pedals, too, are covered in gel for a greater sense of comfort. When the doors open, the courtesy lighting recalls the luminous blue signature of Renault's electric vehicle range. Fluence Z.E. Concept is powered exclusively by an electric motor located near the front axle, in conjunction with a lithium-ion battery positioned between the rear seats and the boot. Renault's designers and engineers worked closely together to develop a safe, practical vehicle capable of accommodating a large enough battery to ensure good range (160km), while also providing sufficient carrying capacity to cater for the requirements of an active family (327dm3). Fluence Z.E. 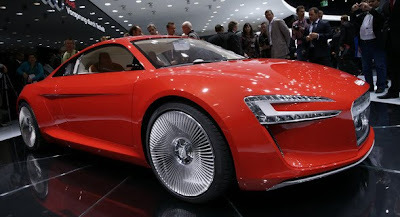 Concept runs on low rolling resistance Michelin tyres. This is Commercial Fleet EV solution. 2011 production target. 24 kWh Lithium ion battery. Standard Charge and Quick Charge. Kangoo Z.E. Concept is powered by a 70kW electric motor which delivers 226Nm of torque, in conjunction with a lithium-ion battery. Energy consumption is minimized thanks not only to the careful attention that has been paid to its overall design, but also to the energy optimization solutions it features, without the necessary high standard of comfort suffering in any way. Kangoo Z.E. Concept's dimensions (length 3.95m, height: 1.85m) ensure that it is perfectly nimble and manoeuvrable in and about town. Its high torque (226Nm) is instantly available to ensure responsive acceleration performance in built-up areas. The Kangoo Z.E. Concept provides a foretaste of what mobility promises to resemble in the future for urban-based transporter and delivery companies, while at the same time carrying over the same acclaimed strengths as Kangoo when it comes to travelling comfort, space and safety performance. To facilitate loading, the hatch-type rear door and wide, folding sill ensures that parcels and other types of loads are easy to slide into the boot. The Kangoo Z.E. Concept enables the driver to communicate with the vehicle with a view to profiting fully from its technology. For example, logos light up to signal that the vehicle recognizes occupants as they approach.As a socially responsible car, it is also equipped with polyurethane gel bumpers which deform easily to soak up minor knocks, while customers and pedestrians are reassured by their absorbent aspect. A linear display on the outside of the door provides an indication of how much range remains even before the driver gets inside the vehicle. This lit display can be likened to the charge indicator of a cell phone. 2012 production target. 24 kWh Lithium ion battery. Standard and Quick Charge, Quick Drop - battery exchange. "Zoe Z.E. Concept is evidence that an all-electric zero-emission vehicle can also boast smart, appealing looks. Zoe Z.E. Concept features technology aimed at extending its range and enhancing the travelling comfort of all occupants. Zoe Z.E. Concept targets motorists who own more than one car and who are looking for a compact, versatile vehicle capable of meeting their varied day-to-day needs, such as the school or work run, or shopping trips. Zoe Z.E. Concept is an all-electric, zero-emission vehicle which reconciles motoring with the environmental aspirations of customers looking for a vehicle with the best possible ecological footprint. Zoe Z.E. Concept invites its occupants to enjoy familiar pleasures. Using cutting-edge electric-vehicle technology, Zoe Z.E. Concept is proof that a zero-emission vehicle can also possess a dynamic, edgy, attractive design which immediately points to driving enjoyment. Aerodynamics have a significant influence on the performance of a zero-emission vehicle and, in the case of the Zoe Z.E. Concept project, the overriding concerns regarding design were elegance and efficiency.Zoe Z.E. Concept is just 4.10m long and is powered by a 70kW electric motor which develops 226Nm of torque. It is easy to imagine the vehicle making its way silently through traffic in built-up areas. The large 21-inch wheels and large body panels are reassuring touches that give the four occupants complete peace of mind when travelling out of town. A standard charge: takes between four and eight hours, via a charging socket situated on the outside of the vehicle. A quick charge: in 20 minutes, using the same socket at specific charging points. The exclusive 'Quickdrop' system: three minutes at a rapid battery exchange station." 2012 production target. Smaller Lithium ion battery. Standard and Quick Charge. "Twizy Z.E. Concept is an innovative response to the challenge of urban mobility. With its four-wheel chassis, Twizy Z.E. Concept offers the driver and passenger – seated one behind the other – an all-electric means of transport which produces no CO2 emissions. Twizy Z.E. Concept is an all-electric vehicle aimed primarily at busy city dwellers who need to pick their way through the urban jungle. Every day, they juggle work commitments with a busy social life, so efficiency, speed and simplicity are key. The ultra-compact dimensions of Twizy Z.E. Concept (2.30m in length, and just 1.13m wide) ensure that it is nimble enough for urban use. The four-wheel arrangement, open bodywork and a seat format which puts the driver and passenger behind one another express Twizy Z.E. Concept's distinctive character. For its occupants, Twizy Z.E. Concept represents a highly practical solution to the problem of urban mobility. With a turning circle of just three metres and a footprint barely larger than that of a scooter, Twizy Z.E. Concept is easy to park in town. At the wheel, easy, agile handling ensures that it rarely gets stuck in traffic, while the four wheels and low centre of gravity provide excellent stability. Electric engine, how does it work? With its futuristic, pearlescent white bodywork, Twizy Z.E. Concept clearly belongs to a new era of urban mobility. As opposed to a conventional car, the body colour wheel fairings are not spherical but octagonal, and cover the tyres entirely. Along with the pearlescent white and blue hub caps, they form a pleasing, harmonious design in which the wheels can no longer be seen rotating. Instead, the only visible movement is that of the hub caps, so Twizy Z.E. Concept appears to glide gracefully and silently, along the road. Twizy Z.E. Concept is powered by a 15kW (20hp) electric motor. This develops 70Nm of torque, and combines comfort with responsive performance at all engine speeds. Twizy Z.E. Concept can accelerate at a similar rate to a 125cc bike, and pulls away briskly from standstill. With a top speed of 75kph, Twizy Z.E. Concept will also be in its element in suburban traffic." "The outlook for lithium demand is robust in both the short and long term," says Jon Hykawy, lithium analyst with Byron Capital Markets. The list of companies exploring for lithium has been growing daily of late. Here are a few of the more active members of that list. TNR Gold (TNR-V) is exploring a handful of lithium projects. At the Mariana project in Salta province, Argentina, TNR recently contracted advisors to help guide an exploration program. Mariana is a road-accessible lithium-boron salar, or salt lake; salars host some of the world's largest known lithium and boron resources. The advisors' work will inform a National Instrument 43-101-compliant report on the project; once TNR has a project report it can complete its previously-announced spin-off of International Lithium.TNR also owns eight exploration licenses in Ireland's Leinster pegmatite belt, which it says are prospective for lithium, tantalum, and other rare earth elements. The company recently acquired the Maximoose lithium property in the Northwest Territories from a private owner and is exploring two lithium projects in Nevada as well as three lithium properties in Ontario.TNR's share price hit a low of 2¢ in December but by mid-August rallied to a high of 35¢ and currently sits near 27¢. The company has 85 million shares outstanding." The art of selling: Byron securities is financing TNR Gold TNR.v second time within one month and it looks like they can not get enough. Jon Hykawy did not mention TNR Gold in his last piece on Lithium plays below, but we guess it is just because there is no need to push this one now and financing is sold already. We will monitor the closing and our Global Lithium and REE play graduating to the new level. Financing is above the recent market price and shows management confidence in company's value proposition. Some results from exploration programmes must be due early next month and Xstrata decision on Los Azules will bring more excitement to the market place. Industry insiders are taking their stakes in the promising sector. Vancouver B.C. : TNR Gold Corp. ("TNR" or the "Company") is pleased to announce a brokered private placement led by Byron Securities Ltd. (the "Agent") for up to 10,000,000 units (each "Unit"), priced at $0.30 per Unit which will result in gross proceeds to the Company of up to $3,000,000 (the "Offering"). Each Unit is comprised of one common share and one half of one share purchase warrant (each whole warrant, a "Warrant"). Each whole Warrant is exercisable at a price of $0.50 per share for a period of 12 months following closing. As consideration for acting as agent, the Agent will receive a commission of 5% of the gross proceeds raised, payable in cash. In addition, the Agent will be issued agent's warrants ("Agent's Warrants") equal in number to 5% of the number of Units placed in the Offering, each such Agent's Warrant entitling the Agent to acquire one common share of the Company at an exercise price of $0.30 per common share for 12 months from closing. The offering is subject to TSX Venture Exchange approval and any regulatory approvals. Byron Capital Markets (Division of Byron Securities Ltd) contact: Robert Orviss CFA 647.426.1668.Gary SchellenbergPresident"
One of these days, pent-up demand for new cars and growing concern about the carbon footprint associated with driving vehicles powered by traditional internal combustion engines will fuel tremendous demand for lithium, a development sure to spark greater investor interest, as well. A staple in batteries for hybrids and all-electric vehicles on the road and on the drawing boards, lithium is becoming a darling among hot commodities. As one of the few of his ilk on the planet, Jon Hykawy is also in considerable demand these days. The Gold Report caught up with Jon in Buenos Aires, where he—as Byron Capital Markets' recently appointed lithium analyst—is checking out facilities in Argentina, the world's second-largest (behind Chile) lithium-producing country, to talk about his favorite subject. The Gold Report: You've indicated strong demand ahead for lithium ion batteries, anticipating a 40% increase by 2014 and suggesting good return-on-investment opportunities in lithium companies. To what extent does the demand for batteries that underlies those expectations rely on an economic recovery? Jon Hykawy: Due to the downturn's global hits on demand for all metals, no question; and that forecast depends on some sort of economic recovery. But the recovery we've built into our model is actually fairly—and perhaps somewhat surprisingly—slow. We don't see the economy getting back to historic levels of growth in consumer electronics or in battery demand, for that matter, for at least two years, probably not until about 2012. 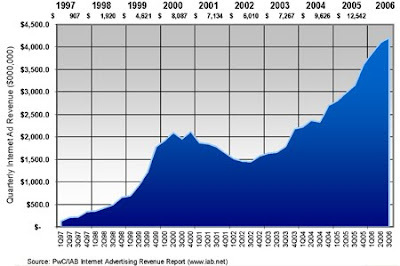 Yet lithium demand and lithium battery growth will increase in much the same way as they have since 1999 or 2000. Part of that demand is predicated on continued growth in sectors where the lithium battery has almost fully penetrated, such as cell phones and laptops. Part of it is continuing cost reductions that are driving lithium batteries into new areas. TGR: What are some of those areas? JH: Demand for nickel-metal hydride (NiMH) batteries for items such as power tools will disappear as lithium battery prices continue to fall and start to rival prices for smaller NiMH battery packs. Very few analysts have built that into their lithium demand models to date. It's going to be interesting to see the growth curve over the next two, three to five years. TGR: Do you see any potential breakthroughs in battery technology that could affect the demand for lithium the same way lithium is affecting NiMH batteries? JH: Certainly chemistries are under development that could be positive for lithium. Various groups are investigating the use of lithium vanadium phosphate batteries or lithium vanadium fluorophosphate batteries. Their advantages over current chemistries are greater safety and much longer operating lives, which might be very, very interesting for automotive batteries. But these are out a number of years. On the flip side, things that could damage lithium demand—we know of a couple of companies that are doing a fair bit of research into NiMH batteries, specifically into the powders used in those batteries. They could certainly take a significant chunk out of demand for conventional NiMH powders in NiMH batteries because their chemistries are cheaper to produce and actually slightly more efficient in terms of the battery that they can create. But the companies themselves would by no means claim that they can beat lithium ion at its own game, so lithium ion demand shouldn’t be impacted. The only other thing I've seen that's credible for automotive use, for instance—certainly not for handhelds—are some of the molten salt batteries or sodium-sulfur type chemistries, or some other similar things that have been proposed. They have a very long operating life, long enough to have the game won over lithium in that regard. Although not nearly as good as lithium, they also have reasonably good energy density and power density. The problem is that they have to run at several hundred degrees, creating both infrastructure and safety issues. I know people are working on lightweight lead-acid versions and various other chemistries. I wish them all the luck in the world, but I don't think they'll be able to do anything to blunt the scale or the pace of lithium battery development. So, no, I don't see anything in the immediate future with the potential to really push lithium ion out of the game. TGR: So the battle for batteries in the current marketplace is between lithium ion and nickel-metal hydride? JH: Yes, and the decision has kind of come out in lithium ion's favor simply because it can put out so much more energy. Basically you get operating lifetime per charge out of the battery, and now it can also put out the power. The one area in which nicad (nickel-cadmium) or NiMH was once better was an abundance of power; so, in the past, the ability to turn a screw into hardwood with a power drill or accelerate an electric vehicle favored NiMH. But that's no longer true. Lithium's development has been so rapid that its specific power—the amount of power that you can draw out of the battery of a given size and weight—has now overtaken NiMH. TGR: What about the electronics space? JH: Portable game-playing devices would be a good example. Circa 2000, Nintendo would have shipped the Game Boy Advance without batteries. It would have come with slots where you plugged in either your own rechargeable AA batteries or regular alkaline batteries. The new Nintendo DSi comes with a rechargeable lithium ion battery. Until recently, it would have been too expensive to include it with the device, but it's dropped to a feasible price point now. And frankly, NiMH was never there in terms of its performance. It simply couldn't deliver an experience that would make Nintendo happy. TGR: Is the electronics arena where you see future growth coming from as well? JH: Since 2000, though we've seen about 30,000 or 40,000 tons a year of additional demand arise for lithium, most of it coming out of nowhere in terms of these consumer batteries. And that demand continues to grow, so lithium is in substantial demand. The price has gone up as a result, and we continue to see that kind of growth. Lithium is also used in glass production, basically to drive down the melting point of glass and keep energy costs low. We believe future growth will continue to come from a combination of theft of market share from some of the other rechargeable chemistries and encroachment into new areas where the lithium ion battery hasn't been before. It's entirely possible that we'll see lithium ion batteries become the batteries of choice for starting and lighting in the automotive industry, for instance, but price points have to drop considerably before that happens. TGR: Will lithium-oriented batteries play a role in alternative energy technologies? JH: Not a huge role. We don't factor that into our model for lithium growth at all. I am a big believer in the space generally, but existing small-cell battery technologies such as lead-acid have been disproven already and actually have come to be hated in the alternative energy industry. A number of large-scale lead-acid power-storage experiments were economic disasters for the companies that tried them. Lithium is likely to fall in the same camp. TGR: What's the problem in those situations? JH: When you move up to the scale required of large alternative energy projects such as wind farms, when you pile that many of them together, even lithium ion batteries have an unacceptable failure rate on an individual cell basis. After a period of time, you end up with a stream of technicians running in and out of the storage facility just carrying batteries. It's not a pretty picture. TGR: And there is a global abundance of lithium on the supply side to meet the demand you foresee? JH: There absolutely is a huge abundance of lithium. It is about as common in the earth's crust as nickel or lead. But on a global basis, the question is never whether there is a ready supply or an abundance; it's whether the supply is economically viable. There are huge quantities of lithium available in the ocean too, but it's extremely dilute and its chemical similarity to the huge quantity of magnesium that's also in the water is another issue. Getting to the lithium supply economically at a price point similar to today's is even trickier. So while lithium may be plentiful, there is not a huge abundance of places on earth where you can get inexpensive lithium. That's really the question to concentrate on. TGR: Where would an investor track the price of lithium? JH: That is a tough one. The market really is dominated today by four very large chemical company players, to which lithium is somewhat an afterthought. They tend to sell to only a few buyers who basically phone them and set up contracts. We track the price of lithium either by calling these companies ourselves and asking about the short-term delivery cost for a ton of lithium carbonate or relying on Industrial Minerals magazine. It has fairly good coverage of the lithium space and puts out reasonable numbers gleaned from those buyers on longer-term contracts. TGR: So, it's similar to uranium before uranium started trading on the futures exchange. JH: It really is. It's a relatively small market controlled by very few players. You certainly can't trade contracts or anything like that in lithium, so it's tougher to watch. Since SQM (NYSE:SQM) drove a lot of the hard rock players out of the market in the 2001–2002 timeframe, the price has marched up steadily. We have seen prices go to the range of $6,500–$6,600 per metric ton of lithium carbonate equivalent. It has plateaued a bit through this downturn, but I fully expect the price to climb again. TGR: Where can an investor look at the price trends? JH: The U.S. Geological Survey is actually the easiest place to check. I believe the price was about $3,500 per ton in the late '90s. When it hit about $4,000, spodumene producers started to make inroads into the market because that price made them economically viable. SQM flooded the market with lithium and drove the price down to about $1,400, taking a lot of the spodumene players out of the game. The only one left standing at the end of the day was Talison Minerals Pty Ltd. in Australia because they had tantalum to tide them over. The price climbed from the 2000–2001 low point at that time to as high as $7,000, and then leveled off to about $6,500 through this downturn. It remains near historical high levels. TGR: What's driving the price of lithium up if there's enough production to match demand? JH: Good point. The lithium is out there and available. The problem is the big producers today are not producing it as their sole product. For instance, lithium probably drives only 7% or 8% of SQM's revenues. Their primary product is potash. Secondly, the largest producers in the world—SQM (NYSE:SQM), FMC Lithium, which is part of FMC Lithium Corporation (NYSE:FMC) and Chemetall Lithium, which is part of Rockwood Holdings Inc (NYSE:ROC) —by and large draw from aquifers, from brines, to produce the lithium. If you pull too much water out of the aquifer too fast, you run the risk of depleting it completely or diluting it substantially and damaging not only lithium production, but also potash. TGR: What's the investor opportunity in lithium if the majors treat it as an afterthought? JH: We believe the best way to play the market is to buy a good basket of juniors that are exploring for lithium. It's traditionally the juniors that go out and find it and either become major players themselves or get acquired by players already in the market. TGR: Brine extraction is today's low-cost production technology for lithium, but aren't these juniors looking at a different type of extraction? JH: Yes and no. Brine certainly is, by and large, the lowest-cost way to go, though investors have to watch out for some things. The first cut for wheat from chaff is the magnesium-to-lithium ratios in brines. For every integer point increase in that ratio, add $180 to $200 of cost per ton. That puts the economically viable point for brine these days at a ratio of about 11:1 or 12:1. If you see anything much higher than that, run; there's no point in looking at it. Anything close to that actually gets to be economically scary because certainly we could have downturns in pricing. A lot of the juniors are looking in places with good magnesium-to-lithium ratios, good concentrations of lithium in the brine, good evaporation rates so that production is relatively quick and good hydrogeology so they can actually pump enough water out of the ground to reach reasonable annual production levels. TGR: Are there any particular juniors you're watching in that space? JH: We've generally been counseling investors to look at primarily two things first. We believe the big drivers in this market are going to be cost and time to market. You keep the cost as low as possible because that gives you the best opportunity in any market. The companies that can get into production and be in the marketplace quickly are likely the ones to benefit the most in the lithium space. That tends to point to good companies that are exploring and looking at brines. There are several good examples of companies doing what I described. You've probably seen stories recently about Lithium One Inc. (TSX.V:LI) acquiring good properties on Salar de Hombre Muerto in Argentina. The area has historically good chemistries in terms of that magnesium-lithium ratio. Grab sampling on these sites indicates good lithium concentrations. That's the kind of property that is available if you look for it. Amerpro Resources Inc. (TSX.V:AMP.A) and Rodinia Minerals Ltd. (TSX.V:RM) would be two other examples. They're looking in Nevada near the old Foote Minerals operation, which Chemetall now owns and has been operating for a number of years. Those brines have historically had extremely good chemistries; they've produced in the range of 5,000–10,000 tons per year for decades. Interestingly, the brines in Nevada are more suited to producing lithium and not really economically viable potash. You obviously never know until you drill, but you'd expect them to be of similar quality for lithium for Amerpro and Rodinia. And of course Nevada is politically stable; it's a good part of the world with a good record with mining and no land claim issues outstanding. You know what you're getting into. Similarly, we like stories such as Orocobre Limited (ASX:ORE) and Lithium Americas Corp. that operate in Argentina. 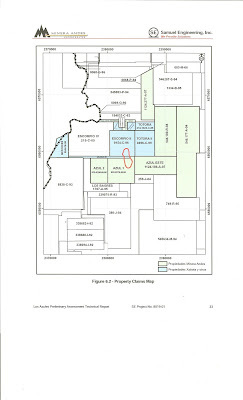 Lithium One's new property on Salar de Hombre Muerto, just down the road from FMC's great lithium-producing area, isn't the size of some of the others that are in the media more extensively (such as Salar de Uyun in Bolivia or Salar de Atacama in Chile), but it is regarded as one of the prime properties on earth because of its chemistry, its history and its hydrogeology. JH: Orocobre has properties on the Salar de Cauchari and Salar de Olaroz in Argentina, and politically Argentina's stands head and shoulders above some other jurisdictions Again, a good project, a very good area, very accessible. And from what I've seen, hands down, Orocobre may have the most knowledgeable management team I've run across. Of the juniors in Argentina that are at the exploration stage, they're ahead of everyone else. They are test-pulling brine out of their deposit and have evaporation ponds up and running. I've seen them in action. They aren't full-scale yet, but everyone else is just starting to do their drills and their characterization if they're lucky. Orocobre has done all of that. If everything works out in terms of the chemistry, they could be one of the early players into production. It's relatively north of some of the other salars. Good access, probably only an hour or so from major highways, so transport issues are relatively minimal. That's a huge benefit, because some of the other salars are very remote. Lithium Americas also is on Cauchari, Olaroz and several other salars. Again, a very good group. All of these companies seem to have very tight, very good management teams, which is also critical because you want to get these projects into production. JH: A couple of other names I should highlight are New World Resources (TSX.V:NW) and Western Lithium Corp. (TSX.V:WLC). New World has properties in Bolivia. Everybody is excited about Bolivia because it is the Saudi Arabia of lithium with Salar de Uyun. There are issues with de Uyun, chemical as well as political. It has very high levels of magnesium. As I explained, if the magnesium-lithium ratio is sort of 10:1 or better, you still might have something that's economic—but barely. In large portions of de Uyun, the ratio is 30:1—very difficult to be economical. New World also has property that I believe is south of de Uyun, on Salar de Pastos Grandes. The area they're in has extremely good magnesium-to-lithium ratios. Again, others have explored the area; the hydrogeology looks right. We won't know until drill holes and wells are in, but things look good, and the land claim they're on is private. The government has never stepped on private land claims in Bolivia. The management team there already has a good relationship with COMIBOL, the state-owned mining authority. John Lando, New World's president, and Joan McCorquodale, its Exploration VP, have worked in Bolivia for extended periods. They know the land, the people and what they need to do to get into production. So that's another story we like. TGR: How about Western Lithium? JH: For scale and political stability, we like the clays and we like Western Lithium. If their process proves out, they should be able to produce a fair amount of potash along with the lithium, which will keep their relative costs down. If they're lucky and hit an absolute home run, they may even be able to produce hydrofluoric acid, which would be a cash cow for them. That's a bit "iffier" but they have a huge resource. They can scale up without damaging that reserve because it's basically open-pit mining. And they're in the United States (Kings Valley in northern Nevada). Everybody recognizes the value in producing in a politically stable jurisdiction, even if it does cost a little bit more. So, we like WLC; it's a good story. JH: In general, you need to look at the viability of the project, the viability of the management team and diversification. Don't put all your eggs in one basket, because there's always a chance that even if it's on a great property in an area that's historically been wonderful, a company could be an unlucky one that finds itself drilling into an isolated aquifer with bad chemistry, or that hits a rotten area that isn't as porous as everywhere else and they can pull only 1,000 tons a year production out of a site. You just don't know until the holes are in the ground and production begins. The economics favor even a small company that can produce 10,000 tons of lithium carbonate equivalent a year, because you're looking at $65 million in revenue. The cash-flow margin for a company with good brine in place is probably at least $4,000 a ton—probably more like $5,000 on a variable cost basis. You're looking at a complete payback in a year and a half or two years. JH: The entire operation—to set up the facility, dig and line the ponds, do all the processing, everything—you might be talking about $60 million or $80 million. So for brine, very definitely; for hard rock, not necessarily. A few companies have found pegmatite (the spodumene-type deposits that are near surface) and maybe can establish a shovel-and-blast type operation from surface, but by and large, they have all the costs of setting up a hard rock mine. When you're doing this with brine, on the other hand, you dig a few pits; line them with polyethylene; basically start pumping water, and then sit back to let nature do its thing. You're really moving a fairly concentrated material out with no additional processing required, other than the wind and sun. This is neither the mining nor the capex that most people know. TGR: Is clay an attractive alternative to brine? JH: The advantage with the clays, such as the hectorite deposits in Nevada, is a substantially higher lithium concentration than in most of the brines you'll ever find. They're open-pit operations and the deposits are close to the surface, so their cost is relatively low. They've been proven out to some extent in terms of cost and the flow processes to get the lithium out. Engineering work completed by Chevron Corporation (NYSE:CVX), and later by the U.S. Bureau of Mines in the 1980s, is now being advanced by Western Lithium, the only company I know that's really actively working in this area today. They have a process that is likely to be more expensive in producing lithium than a good brine deposit, but it also may be substantially cleaner as an end product. With fewer contaminants than you'd derive from a brine, this would potentially mean much lower cost to a manufacturer who would be able to avoid all the secondary refining needed to produce battery-grade lithium extracted from brine. Bulk-grade lithium carbonate equivalent sells for about $6,500 per ton, but battery-grade lithium carbonate equivalent sells for about $45,000–$50,000 a ton. It's simply more valuable and it has undergone a number of other processes to basically create something that can be used in batteries. TGR: But won't prices like that drive the price point up high enough to hamper the growth in lithium demand we've been talking about? JH: Not really. Raw lithium accounts for only about 1% of final battery cost, so even refined lithium doesn't add a substantial amount to cost. So I stand by what I said. Lithium demand will continue to grow. Toronto-based Jon Hykawy, who earned his PhD in physics (University of Manitoba, 1991) and an MBA (Queen's University, 1997), spent four years in capital markets as a clean technologies/alternative energy analyst before being named lithium analyst at Byron Capital Markets in August. Jon began his career in the investment industry in 2000, originally working as a technology analyst concentrating on the lithium space. Jon has become a valuable resource on everything about the light, silver-white metal—from supply and demand to exploration and production. He has extensive experience in the solar, wind and battery industries, conducting significant research in the areas of rechargeable batteries, from alkalines to lithium-ion to flow batteries." "...China and India can not grow their mobility to the western standard penetration rate without risk of suffocating their own population." "We spent some time travelling and will share our travel notes later, for today we can say that Electric Mobility Revolution is happening, it is Lithium, it is safe and it is coming fast. We have met with designers and engineers, we have grilled Lithium batteries' developers and driven Tesla - Energy and Drive are Electric and Eco is the main theme at Frankfurt Motor Show this year. Renault is the Electric Big Bang of the show with four full electric models and their prediction: " In ten years time 15-20% of cars sold in Europe will be electric". Everybody else is on the rush to be up to speed of development in Green Mobility Race with Mercedes, BMW and Audi shows built around centerpiece: Full Electric models and Hybrid cars." "Very impressive claims on recharging time and range of this nice looking Electric car. Pricing range and idea of Electric Mobility: pay as you go for the battery will bring electric cars to the reach of mass market consumers." General Motors, one of the world's biggest carmakers, and the Bangalore-based company behind the G-Wiz electric car have announced a joint venture to produce "affordable" electric cars in India. The new vehicle, which has been road-tested, will be based on GM's popular Spark hatchback, which in India costs a quarter of a million rupees (£3,000). 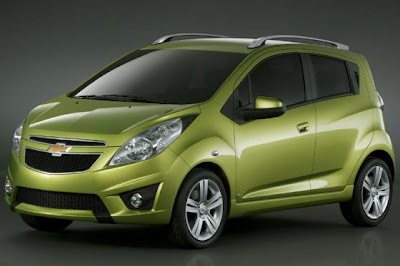 Neither GM nor its partner, Reva, would be drawn on the electric version's price tag, though both said it would be "competitive and affordable". GM, which only recently came out of bankruptcy, has developed its own Volt electric-petrol hybrid for sale in 2010 in the US market, and has two car plants in India which can produce 250,000 vehicles a year. But analysts say that the take-up of any new electric model will be in the low thousands unless the Indian government creates a network of charging points. As an interim measure, say GM executives, charging points could be installed at company dealerships and some petrol pump stations. But experts said an electric version of the Spark would only be attractive to urban drivers who could get reliable supplies of electricity and use the car as a runaround in the city. Murad Ali Baig, a motoring columnist, said the new GM car would be able to travel "about 200km" without recharging. He added: "Delhi has one electric charging point used by a fleet of buses. There's nothing difficult about setting up a network of such points, but you need politicians to get on with it. In London electric cars get free parking and free power. Any wonder that Reva sells more cars in London than in India?" Reva said that it had patented a number of new technologies which could assuage some of the concerns. Chetan Maini, Reva's chief technology officer, said: "In our latest models there are even systems where you can send an SMS and we can release a hidden charge remotely to your car, giving you an extra 10km if you are really stuck." Reva, which styles itself as a technology company, says it also has plans to launch its own new electric car range – aimed initially at the foreign car markets – and has built a new factory able to churn out 30,000 cars a year. The two new models, both hatchbacks, will go on sale for €10,000 (£9,144) and €15,000 next year." Lithium and REE: Hype, dreams and Economics. We spent some time travelling and will share our travel notes later, for today we can say that Electric Mobility Revolution is happening, it is Lithium, it is safe and it is coming fast. We have met with designers and engineers, we have grilled Lithium batteries' developers and driven Tesla - Energy and Drive are Electric and Eco is the main theme at Frankfurt Motor Show this year. Renault is the Electric Big Bang of the show with four full electric models and their prediction: " In ten years time 15-20% of cars sold in Europe will be electric". Everybody else is on the rush to be up to speed of development in Green Mobility Race with Mercedes, BMW and Audi shows built around centerpiece: Full Electric models and Hybrid cars. We have put it before as "Investing in Lithium and REE: Hype, Dreams and Economics" - now we can add that Hype for Electric is at its very beginning, Dreams are at the show and the most important left is economics: regarding cars - you can drive 100km for 2 euro in Germany and even less in Austria; and Renault is claiming the price for the car in normal range with battery leased to the customer; regarding Lithium and REE plays - time is to see who has the goods, strong management and access to the capital. Question whether Electric cars will be on the road with Lithium ion batteries and whether they will have utility and safety matching "normal car" is not there for us a ny more. "Electricity is the most convenient form of energy available to us, now we have means to store it. "Applications of this simple statement could transform our way of life dramatically. Once it was estimated that there will be need in maximum six computers in the world. When have you bought CD last time and paid for your mobile phone? Magnitude of this change in energy space will be even more dramatic socially and economically." "A COMPREHENSIVE REPORT by international consultancy Deloitte predicts that the future automotive landscape will feature more streamlined production, more rapid adoption of new technologies, and a shift to electric vehicles. Manufacturing operations will also become concentrated in lower production-cost countries such as China, India and Eastern Europe. Development costs, environmental concerns and corporate restructuring will be the main issues for the world’s automakers, while consumers will see more platform-sharing in new car line-ups. Global platforms and cars will be adopted more widely by large automakers such as Toyota, General Motors and Ford, replacing myriad region-specific models and different chassis architectures. Vehicles like the Holden Cruze represent the first wave of this new trend. Globally-developed and distributed vehicles will be able to recoup development costs quicker due to higher overall sales volumes. 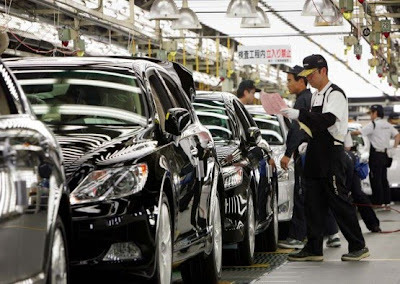 The bulk of car manufacturing is also anticipated to move away from countries with high labour costs such as the USA, Japan and Germany, and migrate to emerging economies in China and India. The report said that increased investment in production line technology will keep quality levels high, no matter the country of manufacture, and parts suppliers are expected to move overseas too. According to Deloitte, new markets in developing countries will increase demand for new cars, with China and India to account for most of this new uptake. The emergence in both countries of a significant middle class should drive sales of private vehicles, and luxury vehicle sales in these markets are also expected to rise. The report said that car buyers around the world - not just those in developed countries - will become more safety-conscious, and will also demand new high-tech devices in their cars. Electric vehicles are expected to become prevalent over the next decade, however the high cost of EV battery packs and the continued availability of oil means uptake will be slow to start with. According to the report, hybrids will be more popular than EVs, but beyond 2020 all-electric vehicles are predicted to be the urban commuter’s conveyance of choice. Alternative fuels like natural gas and ethanol will likely continue to be flirted with, the report said, but EVs are expected to become more mainstream than hydrocarbon fuels in the long term." "We are closely watching developments with Tata Motors in Electric Car space. Tata is producing the world cheapest car, if they will be able to move into electric cars' market and produce reliable cheap electric cars they will make our Next Big Thing really big. The same reason for our attention applies to BYD - both companies are lacking public recognition as a reliable car brands, but in our mass market they can become the driving force. 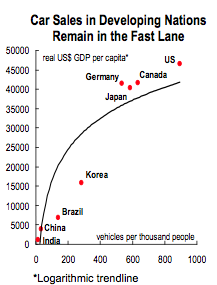 China has overtaken recently USA as the biggest auto market in the world and both China and India can not grow their mobility to the western standard penetration rate without risk of suffocating their own population." "The government has finally dipped into its eight-month-old £2.3bn aid package for the car industry, lending Tata Motors £10m to assemble an electric car in the UK. Tata Motors, which owns Jaguar Land Rover, will invest £25m into the project, which could create hundreds of jobs. It will also see Tata Motors-badged cars on the UK's roads for the first time. The Indian company will announce shortly where the car will be assembled. Tata claimed the "Indica Vista EV [electric vehicle]" will be the world's first mass-produced family-sized electric car and will be available in Europe by the end of the year. It developed the four seater at its R&D centre in Warwick. Tata Motors is partnered with Norwegian company Miljø Grenland/Innovasjon which will make the electric batteries. 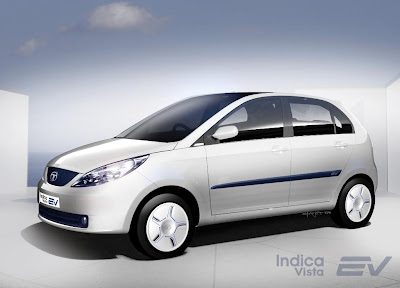 Tata will use its Indica Vista's chassis, which it will ship to the UK for assembly with the battery. Initially assembly will take place in Norway until the UK site is ready, where the number of cars being produced will ramp up depending on sales. Tata came close to scrapping its plans to build the car in the UK because of frustration over how long it had to wait to find out if the government would provide financial support. The company had to wait over eight months for a decision. A spokewoman for Lord Mandelson's business department said that it was difficult to find banks to underwrite the loan, even though many are in state control. The Government unveiled the £2.3bn automotive assistance package in January in order to kickstart the ailing car industry and help companies develop low carbon technologies." Very impressive claims on recharging time and range of this nice looking Electric car. Pricing range and idea of Electric Mobility: pay as you go for the battery will bring electric cars to the reach of mass market consumers. "Now we have more estimations from industry insiders on the potential size of the market for Electric Cars HEV and EVs, we are waiting for production figures in coming months to update our Lithium Demand estimation model. But you can get a very good sense by applying different market share penetration levels of EV and its effect on Supply - Demand picture." FRANKFURT: Reva Electric Car Company announced the launch of its model Reva NXR while unveiling another variant Reva NXG, at the Frankfurt International Motor Show. Reva NXR, a lithium-ion battery powered car is scheduled to go for production early next year and Reva NXG's manufacturing is scheduled for 2011, a company statement said. Reva NXR is a four-seater hatchback model and can attain top speed of 104 kmph and cover a distance of up to 160 kilometres in a single charge, it added. The car is loaded with several other features such as keyless operation, dual charge port, digital display and SMS alerts. It can travel up to 320 km per day using 90 minutes fast charges and a fast charge of 15 minutes will provide a 40 km range, the company said. The company has priced Reva NXR at 14,995 euros and Reva NXG at 23,000 euros excluding the cost of battery in European market. However, prices of both models in Indian would be announced the next year. "NXR is a stylish car packed full of user-friendly technology. 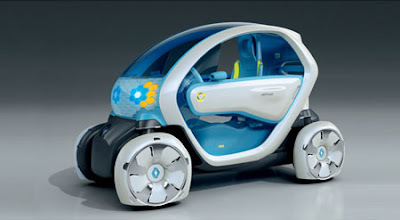 You can order one from today and production will start early next year.." Reva Chief Technology Officer Chetan Mani said. "The world cannot afford conventional cars anymore." A surge in global oil prices last year had helped raise people's consciousness, he added. "Five years ago I don't think people were thinking about electric cars," said Maini, Reva's deputy chairman and chief technical officer. When consumers mull a purchase now however, "they would at least consider an electric car," the Indian entrepreneur added. Reva will launch its Bangalore output with capacity of 300,000 vehicles per year. "We believe it may take us two to three years to get to full capacity but we think the market potential is very high, and that's why we are setting up that kind of capacity," he said. He cited a study which forecast a market of 500,000 electric vehicles in Europe in 2015, while also stressing a key role for governments in developing electric cars. "There is a societal cost to pollution" that justified funding to help companies invest in infrastructure, technologies and product launches, Maini maintained. "Once people use it and feel the benefits, the volumes grow and prices come down and then you don't need support" any longer, he said. Reva, which has produced electric vehicles since 2001, claims now to have solid experience in the field. Maini said 300,000 of its cars were already being used in 24 countries. Powered by a lithium-ion battery, the NXR is a three-door model designed to carry up to four passengers. It is expected to cost 15,000 euros (22,000 dollars), minus the battery which specialists note are one of the most expensive components, for an "inter-city" version. A pure city car with less range and traditional batteries is to be offered for less than 10,000 euros. Customers would be charged "a mobility fee" for battery rental, but they will be available for purchase as well. The prices were noticeably higher than the 2,055 dollar tag for the Indian produced Nano, which was launched in July and is currently the cheapest car in the world. 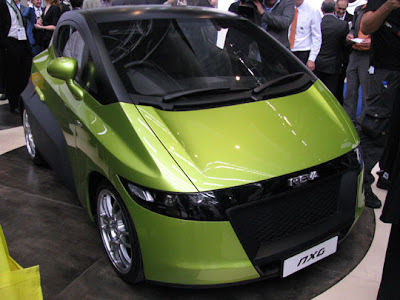 Reva Electric Car, a Bangalore-based company, is a joint venture between India's Maini Group and AEV LLC of California. "Catalyst for this structural market shift will come with Peak Oil thesis confirmation and rising oil prices, more government incentives to combat climate change and China's ability to organise a nation wide transition to the new technology and introduce Green Mobility as standard of transportation." Now we have more estimations from industry insiders on the potential size of the market for Electric Cars HEV and EVs, we are waiting for production figures in coming months to update our Lithium Demand estimation model. But you can get a very good sense by applying different market share penetration levels of EV and its effect on Supply - Demand picture. Investing in Lithium: Hype, dreams and economics. With global car sales estimations of 80 mil in 2015 it will represent 2% of total sales. It is hardly a revolution, but it will bring new demand in lithium space of 40000 t LC, which is an increase of 33% from current level. To put things in perspective 5% adoption rate by 2015 will amount to 100000 additional LC demand and will almost double the market. You can see that our estimations are dependent on advance of a few major players in EV market and Tata's entry into Electric auto space will be very important. Coming auto shows this year will bring us more information. Our Green Mobility Revolution definition stays for 30% of the market by 2020 which means 24 Mil EVs produced with global auto sales stable at 80 Mil it will account for 600000 t of LC - fivefold increase in Lithium Demand. Next two years will show which scenario will be in place. Catalyst for this structural market shift will come with Peak Oil thesis confirmation and rising oil prices, more government incentives to combat climate change and China's ability to organise a nation wide transition to the new technology and introduce Green Mobility as standard of transportation." FRANKFURT (Dow Jones)--As car makers unveil more concepts and initiatives in their pursuit of vehicles powered by alternative fuel sources, debate is heating up over the potential size of the market for electric vehicles. Predictions are difficult, particularly in an industry that is regulated and evolving constantly, so estimates vary widely: the more optimistic say that electric vehicles could grab as much as 10% or more of the market worldwide in the next 10 years. Pessimists say the potential more likely is just a fraction of that. The bulls include Carlos Ghosn, chief executive of French car maker Renault SA (RNO.FR) and Japanese alliance partner Nissan Motor Co. (7201.TO). Ghosn says electric vehicles, powered by batteries that can be recharged from mains electricity supplies, will account for 10% of the global market of around 60 million cars by 2020. "Frankly, we think the potential may be even beyond that," Ghosn told journalists at the Frankfurt motor show Tuesday. He has a lot at stake: Renault introduced a lineup of electric cars and committed to make at least 100,000 of them by 2016. Renault intends to grab a big chunk of the nascent market by being the first to offer a real product catalog. Most other manufacturers are showing electric vehicles or a hybrid vehicles, though privately company officials say it is more important to be seen to be green rather than through any conviction that there is money to be made, at least in the coming years. There is no illusion that electric vehicles can be profitable from the outset due to massive development costs in a new technology, together with the likelihood of small volume sales. Other automakers have different views. Germany's Volkswagen AG (VOW.XE) predicts electric vehicles will corner between 1.5% and 2% of the global market, while Renault's local rival PSA Peugeot-Citroen (UG.FR) estimates 5%. French automotive supplier Valeo SA (FR.FR) thinks it could be 3%. But a recent report by IHS Global Insight, a London-based consulting firm, points to a market share of only 0.6%. 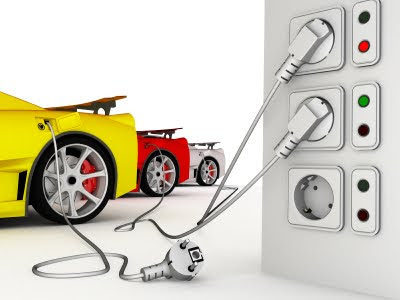 "In the next 10 years, electric vehicles will be a loss-making proposition all down the value chain," says Christian Kleinhans, analyst at Oliver Wyman and author of a study that estimates that electric vehicles will comprise only 3.2% of the market by 2025. The study says manufacturing costs today for electric vehicles are 150% above those of a conventional vehicle, with that margin narrowing to 60% in 2025. "The industry won't be profitable for a long time, but it will emerge totally modified and will owe its long-term survival" to the technological revolution, says Remi Cornubert, head of Oliver Wyman's automobile practice. All these estimates hinge on a variety of factors, including the price of oil, how the public's perception of global warming develops, how quickly emission regulations are toughened and on the scope of incentives offered by governments to encourage motorists to buy zero-emission cars. Crucial, though, will be the speed at which the infrastructure for charging or changing flat batteries is put in place. Ghosn Tuesday waved aside suggestions that the market could be much smaller than Renault expects. Asked about the varying estimates, Ghosn said: "You can take your pick. "I'm putting EUR4 billion behind my bet, that's the big difference," he added. "I have two thousand people working on it. And even if it's 5%, 5% of the global market is three million cars. Even if it's 5%, we're fine." Industry executives at the car show say that Ghosn needs to project a very quick development of the market to justify the massive investments that Renault and Nissan are making. 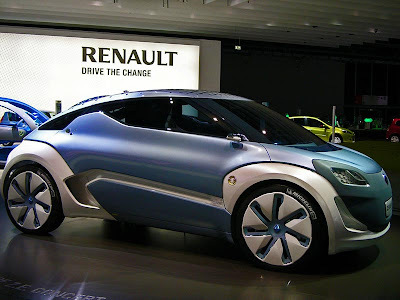 Unlike other car makers, Renault essentially is skipping hybrid technology in which cars will have two powertrains: a battery-driven motor for driving in towns and short distances, and a traditional internal combustion engine for longer distances. While it is gearing up for mass marketing of battery powered vehicles starting in 2011, it is working on developing new, smaller, thermal engines with reduced fuel consumption and emissions. "It's a gamble," said one car company executive. "If they're right, they'll reap all the benefit that comes with being first out of the gate in terms of notoriety and pricing power. But if they're not, the break-even point will be much further out than they hope."